Pop open a bottle of sparkling and serve generously with the VUE Champagne Saucer Set of 4. Celebrating your special events at home demands only the finest designs, which is why these saucers are a perfect match. 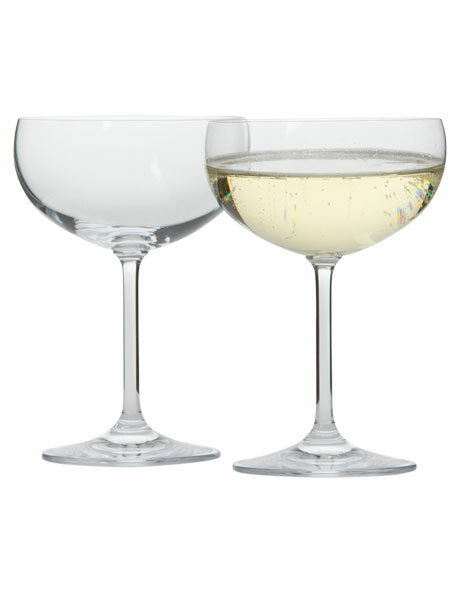 Designed with a generous bowl, these elegantly shaped glasses allow for bubbles to rise more efficiently. Why is this so important? An appetising stream of bubbles will rise from the centre of the glass, bringing along those divine aromatic flavours and smells to the top. Perched on a delicate stem, these glasses will stand tall and proud among any spread at the dinner table. Vue is lifestyle brand about contemporary design and quality at an affordable everyday price.